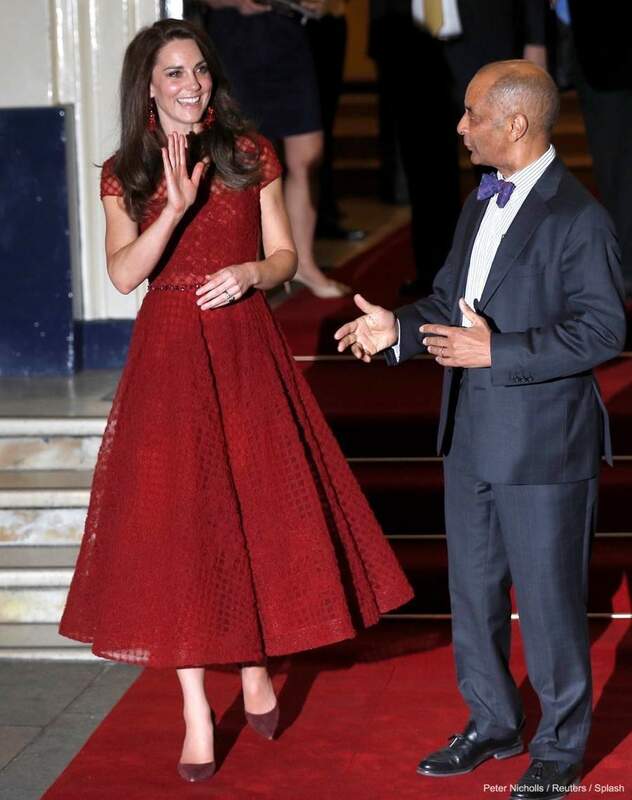 On the 4th of April 2017, the Duchess of Cambridge (Kate Middleton) debuted a new pair of earrings for the opening night of the musical 42nd Street at the Theatre Royal Drury Lane in London (learn more about the event here). The unique earrings featured multiple red tassels hanging from a gold coloured hook. The earrings are by Kate Spade New York. 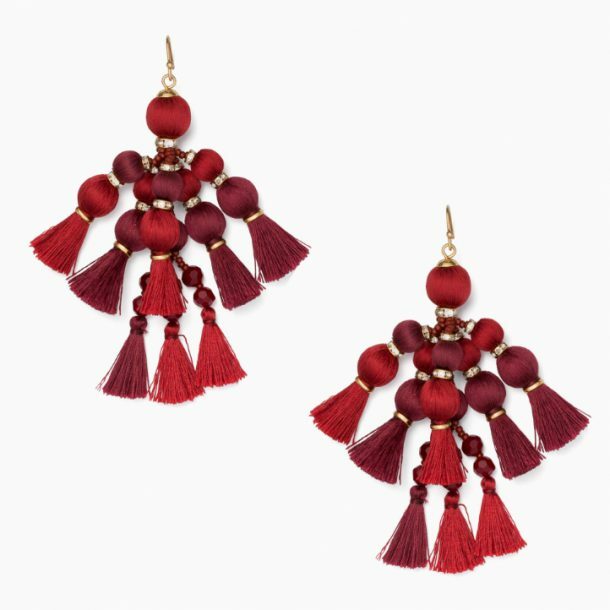 They’re the designer’s “Pretty Pom Tassel Drop Earrings” in the colour “Sumac”. The statement earrings feature glass beads, silk threads and tassel pom poms. According to Kate Spade’s company director, “tassels are the new bows”. The eye-catching earrings are 3.5 inches long and they’re suspended from a French hook. Threads of silk, playfully tasseled and studded with sparkling charms, create elegant drop earrings that frame the face in vibrant color. At the time of writing (2oth August 2017), you can purchase the sumac red coloured earrings from Spring for $69 USD (was $98). The earrings can be purchased in pink from Breuninger too. They cost €79.99 EUR (was €108).